“To exercise exclusive Legislation in all Cases whatsoever, over such District (not exceeding ten Miles square) as may, by Cession of particular States, and the Acceptance of Congress, become the Seat of the Government of the United States…” Article I, Sec. 8. Like every word or phrase in the Constitution, there is a story for this provision. The Pennsylvania Mutiny of 1783 is part of the reason that the Constitution provides for a seat of government under federal control. By June 21, 1783, the American War for Independence was for all practical purposes over. On October 19, 1781, British General Cornwallis had surrendered to General Washington at Yorktown, Virginia. Preliminary Articles of Peace had been signed with the British on November 30, 1782. Except for a group of British troops in New York, the British army had gone home. While the war with England was done, the new country’s government was not entirely safe. In the summer of 1783, the Third United States in Congress Assembled , convened pursuant to the Articles of Confederation. It was in session at the Pennsylvania State House  in Philadelphia. Congress met on the first floor and the Pennsylvania legislature  met on the second. The government was deeply in debt, and among those debts was the payroll for the Continental Army. Continental troops were billeted in Philadelphia and Lancaster. On June 21, 1783, the troops from Lancaster marched to Philadelphia. The Philadelphia and Lancaster troops joined together and over 400 men under arms surrounded the State House and demanded a congressional settlement of their long overdue pay. Congress was denied the aid of the Pennsylvania Militia, apparently under a belief that the militia might side with the soldiers. Congress, unable to rely upon the Pennsylvania Supreme Council, its President, or the state militia for protection ordered an adjournment. Congress got its things together and moved provisionally to Princeton, New Jersey. Over the next years, other cities served as the capital of the United States, among them: Trenton, Annapolis, and New York City. 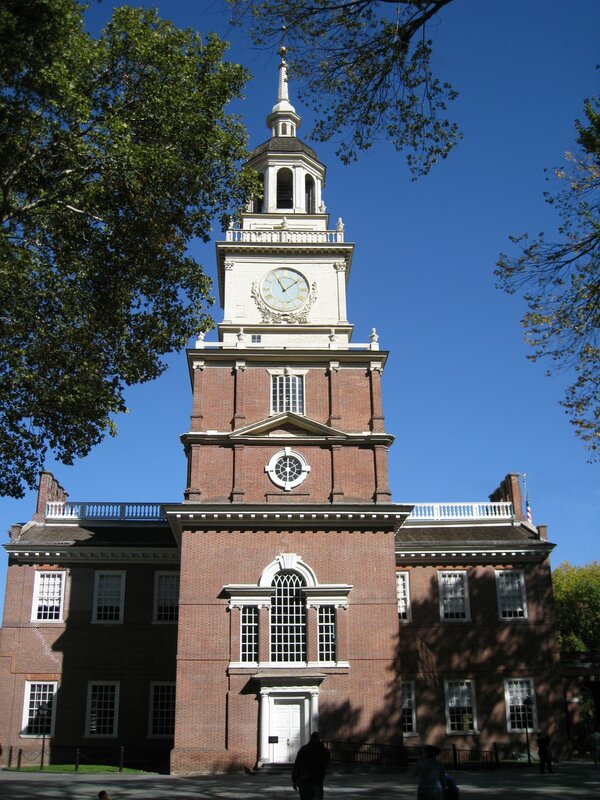 In 1787 delegates would return to Philadelphia for the Constitutional Convention. During that convention, the Congress of the Confederation was meeting in New York City. 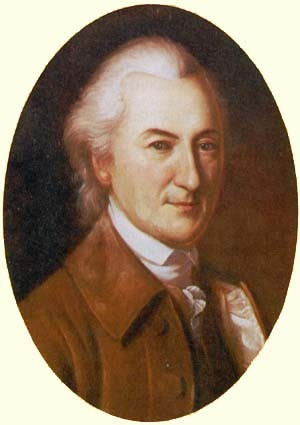 The 1783 Pennsylvania Mutiny contributed to the creation of Washington, DC. Inside a federal district Congress could maintain its own security rather than relying upon on a state. The constitutional provision authorizing a federal enclave had its roots in the Pennsylvania mutiny. 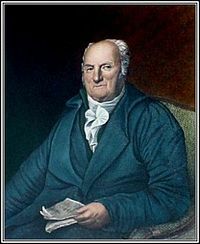 The Treaty of Paris, formally ending the war would not be signed until September 3, 1783. Before Independence when the colonies met, the group was referred to as the Continental Congress. In 1776 the Continental Congress had adopted and issued the Declaration of Independence at this location. This would also be the site of the 1787 Constitutional Convention. 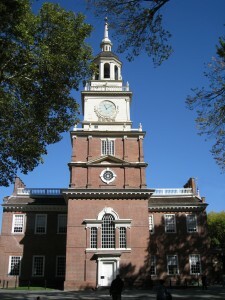 It is now known as Independence Hall. For practical purposes, President of the United States, but under the Articles of Confederation, the job was primarily ceremonial, possessing little power.